 The #1 Official Walking Dead Strategy RPG - Recruit your team to fight Zombies! Halloween has arrived in Road to Survival. Celebrate Halloween with our limited-time updates! The Walking Dead Road to Survival is the definitive Walking Dead strategy RPG game, brought to you by Robert Kirkman, creator of The Walking Dead comic series. Build your team of Survivors and develop battle strategies to lead them into battle in an uncompromising story, fraught with danger. Fight for survival against walkers and humans alike, using strategy to attack enemy weak points and deep RPG progression to decide your path. Build a town to keep the walkers at bay, but be warned – The horrors that lurk outside aren’t the only threat, and your decisions are all that stand between life and death. Based on an all-new story from award-winning Walking Dead writer Jay Bonansinga, the dark aesthetic of this game reflects the uncompromising decisions you will need to make as you strategize for survival. 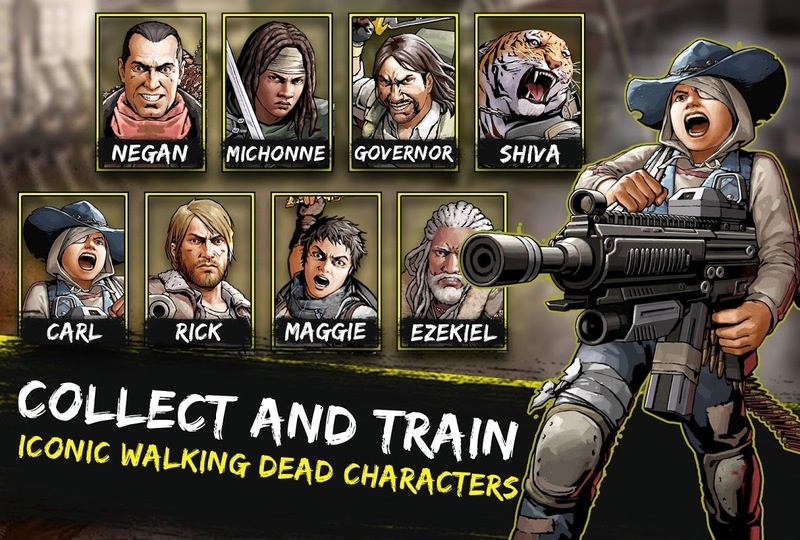 Stand with Michonne, Rick and other survivors from The Walking Dead, and join the epic battle against the darkest enemies from the Governor to Negan. THE WALKING DEAD: ROAD TO SURVIVAL FEATURES: Fight Walkers & Survivors • Battle against fierce opponents and use your best strategy to survive • Land critical hits and deal crippling blows to your enemies • Charge opponents with special melee and ranged attacks using deadly weapons like Michonne’s katana Collect & Recruit Survivors • Collect new Survivors from The Walking Dead universe, each with their own specialized battle strategy Upgrade Your Survivors • Level up and customize Survivors to enhance their fighting strategies, weapons and skills • RPG progression makes your Survivors stronger as they cut down more walkers Strategy Gameplay - Capitalize on Strengths & Exploit Weaknesses • Battle strategy is key to scoring powerful hits – but watch out for retaliating strikes • Your battle strategy is all that’s keeping the Survivors of Woodbury safe – Strategize and strike to win Maps & Locations From The Walking Dead • Explore a new 3D map featuring real locations from The Walking Dead comics Build your Community Base & Expand into the Wasteland • Build houses to hold Survivors, a Town Hall to expand your city, a Workshop to craft items, and more PvP - Raid Enemies • Use your battle strategy to raid enemy factions for resources in the All Out War online mode • Strategic Multiplayer battles in a wide-open world filled with potential enemies and vicious walkers. Alliance Factions & Online Strategy • Multiplayer alliances and battle strategies keep you safe. Join allies in a faction to create a battle strategy and pool resources in the harsh world of The Walking Dead • Battle and build together with friends in multiplayer role-playing strategy gameplay Battle in Iconic The Walking Dead Locations • Fight alongside your faction for control of areas from The Walking Dead • Battle to conquer and defend locations like Alexandria, Woodbury, Sanctuary, and more Make Strategized Decisions to Change the Story • Decisions impact the story mode and make each game campaign unique • Write your own Survivor story in this dynamic and compelling Walking Dead RPG Live In-Game Events • Play to obtain valuable resources and new, exclusive Survivors. Walkers tear at your city walls, while desperate Survivors rip apart the town’s foundations from the inside. When the time comes to fight, what will you choose? 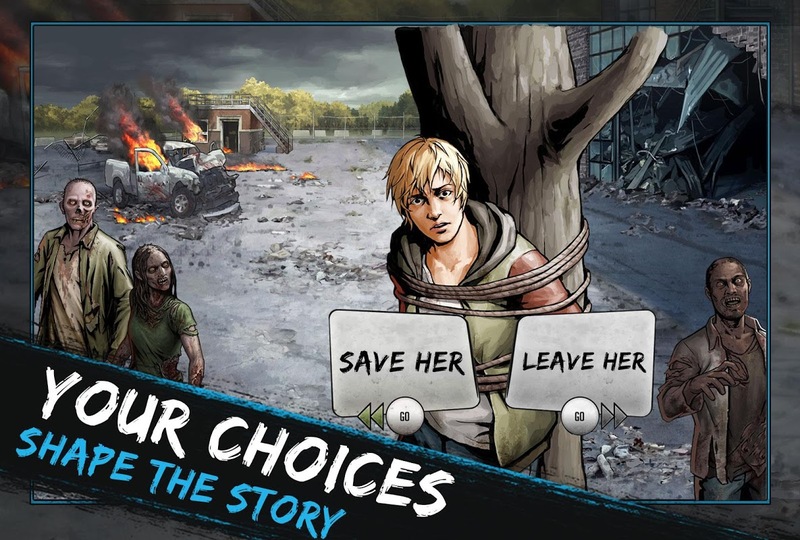  Is The Walking Dead: Road to Survival yours? Claim it!